While plenty of chores may be on your "To-Do" list, they are probably not on your "Want-To-Do" list. So you put them off and then feel guilty. Perhaps you don't need to feel so bad because you could just be making extra work for yourself. Some chores only need attention once per year. By spreading out the work, you'll feel a sense of accomplishment, keep your home looking good, and have more free time. Even though they are hanging vertically, curtains, drapes, and shades still attract airborne dust and odor molecules and should be cleaned once a year. Curtains in food preparation areas may have oily residue and bathroom curtains frequently catch droplets of hair spray and other cosmetics. When you take drapes down, check the panels for care instructions. This is also a good time to dust rods and other hardware. 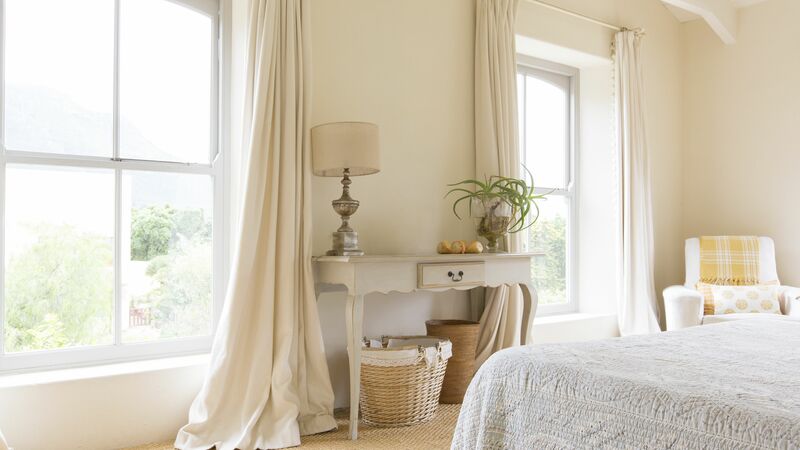 Most lined drapes will need to be dry cleaned to remove any stains or heavy odors. If they are only dusty, toss them in a clothes dryer on the Air Only Cycle to refresh. After the drapes are rehung, use a clothes steamer to remove any wrinkles. Most curtains can be machine-washed following the care label instructions. Avoid excessively high heat in the dryer and remove while still slightly damp to iron or rehang. To remove dust from fixed valances and shades, simply use the upholstery attachment on your vacuum to go over all surfaces. You can also use a microfiber duster or cloth to wipe down each side of fixed or removable shades. Unfortunately, because of their horizontal slats, blinds need to be dusted more frequently, at least monthly. Clogged gutters can cause moisture damage to eaves, roofs, and even cause interior leaks. The best time to clean gutters is after all of the leaves have fallen in the autumn. Unfortunately, if you have lots of pine and evergreen trees, they tend to shed needles year-round and you may have to clean out gutters more often or install gutter guards that deflect debris. If you are doing this yourself, use a sturdy ladder and a helper to steady it. Or, simply call a service to take care of the chore. After winter has passed, it is time to give fireplaces a thorough cleaning. When you are certain that embers are cold, use a shop vacuum to remove the ashes. The interior of the fireplace, andirons, and other fireplace tools should be wiped down with a solution of distilled white vinegar and water to help remove smoke odors, and the damper closed. It's also the perfect time to schedule an appointment with a chimney sweep to remove soot from the flue and check for obstructions in the chimney. Outdoor furniture can be thoroughly cleaned just once per year if you have been removing stains from fabric pillows and cushions as they happened. The best time for an overall cleaning is early spring when you bring the furniture out of storage. Wicker, plastic, and wood frames can be cleaned by wiping down with a solution of two teaspoons liquid dish detergent and two cups warm water. Use a soft-bristled brush on any hard-to-remove stains. Finish with a quick spray of water from the hose. Pick a sunny day and the furniture will dry quickly. Vacuum fabric cushions and remove any stains. Don't forget to give your patio umbrella some attention so it will be ready for warm weather. As summer activies wind down and before everyone moves to indoor activities, it's the perfect time to have carpets and upholstery deep cleaned to remove dirt, pollen, and pet dander. You can do it yourself by renting a cleaning machine and the proper solutions from a home center or call in a professional. If you decide to tackle the chore yourself, pick a day when there isn't much foot traffic and be sure to pretreat stains before cleaning. Move furniture off the carpet or place squares of plastic (food storage container lids work great) under the legs to prevent staining. For upholstery, test the cleaning solutions in a hidden spot to be sure that they don't discolor the fabric. Take extra care not to oversaturate upholstery with the cleaning solution. Excessive moisture can cause mold and mildew to develop in the cushion fillings. Mattresses have improved dramatically through the years but they still need a bit of attention. At least once a year, give your mattress a thorough cleaning and repositioning. Even if you use a mattress cover religiously, mattresses gather dust, dust mites, and body soil. Remove the cover and give it a wash in hot water. To clean the mattress, vacuum well on the top and sides and don't forget the box springs if you have them. Inspect the mattress for any stains and spot treat them with a solution of mild dish detergent and water. Use a soft brush and work from the outside of the stain toward the center to prevent spreading. Rinse the area with a cloth dipped in plain water and then allow to dry thoroughly. To speed drying, use a hair dryer set on low but avoid excessive heat. You may want to flip the mattress over or at least rotate it so it wears evenly. Early November is a great time to clean out kitchen cabinets, drawers, and the food pantry to get ready for the holiday season. Take a section of cabinets at a time and empty them completely. Wipe down shelves and reline with shelf paper if needed. Take a look at each item before you put it back. It's a great time to get rid of mismatched pieces, items you never use, and strange items that have found their way into the kitchen. This is particularly important for the "junk drawer" that seems to accumulate everything. When you tackle the food pantry, check carefully for any insect infestation like weevils or roaches. Toss anything that looks suspicious and that's out-of-date. Take an inventory of basic supplies you need and restock in a freshly cleaned pantry. Give every item a critical eye before you put it back in the closet. Donate any unused linens and toss those that are in tatters. You may need to do a bit of washing or send some heavy bedding to the dry cleaner. Organize shelves by type of linens or by seasonal items. Keep sheet sets together and finally take the time to fold a fitted sheet properly. No one expects your garage, basement, or attic to be spotless, but a good cleaning once a year is important. You'll be able to sweep away dust and spiderwebs, check for moisture or insect problems, and assess everything that has accumulated. It's time to be ruthless and toss broken items and donate all the things that you haven't used during the previous year. Even as we move further toward a paperless society, there still seems to be a great deal of paper that accumulates during the year. 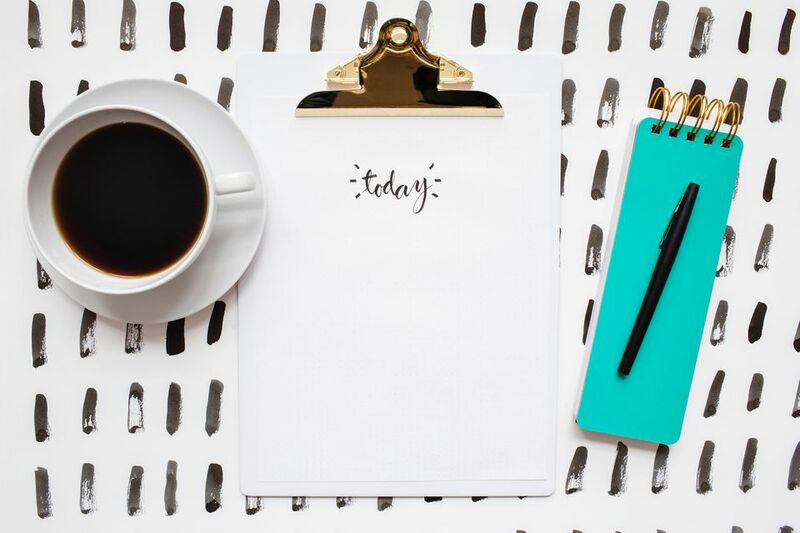 If you haven't been quite as organized as you planned to be during the previous year, January is a great time to organize both paper and electronic files. Use file folders or an expandable file to keep items together. As you discard and shred unnecessary papers, you'll be prepared for tax season and ahead of the game.